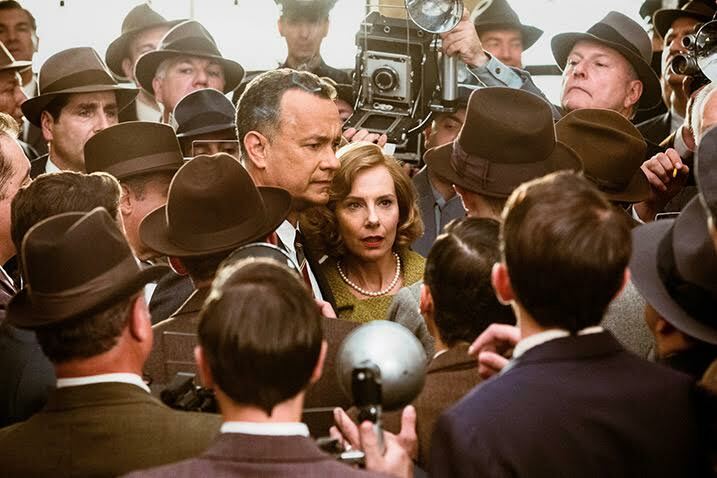 Two names dominate this movie, making it impossible to see past them: Spielberg & Hanks. This is the fourth time this pair has come together for a film: Saving Private Ryan, Catch Me If You Can, and The Terminal being the first three. Saving Private Ryan is viewed as one the best war movies of our time, becoming an instant classic and a must-see. The other two, not so much, though they each have their following. 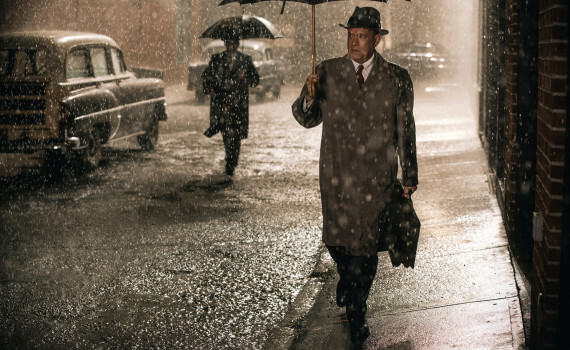 Bridge of Spies attempts to emulate the former, painting a picture of politics and patriotism that should sit well in most audience member’s cinematic stomachs. Spielberg & Hanks are an undeniable force, a wealth of talent, and although they are not impervious to missteps, they don’t make one here. This is a film that should please, if not exactly awe, becoming yet another solid piece of American pie. A true story of the terror of the Cold War, Bridge of Spies sheds light on the heroic deeds of one man, an individual who saw himself as a part of something far greater. After the capturing of Russian spy Rudolph Abel, a lawyer was appointed to defend him and to prove America’s standard of justice, even if a verdict of death by electrocution was still expected. But James Donovan was no mere lawyer, and he was not about to simply appear in court and await his client’s killing. Donovan believed in the American judicial system, and used it to keep Abel alive. Years later, an American pilot, Francis Powers, was captured in Russia and held as a spy. Donovan would be called upon to serve his country once again, this time as a negotiator between two warring countries, facilitating the exchange of spies in Berlin, a city divided by walls and ways of life. Bridge of Spies feels more like a collection of films than an original piece of art, but that’s not exactly to its detriment. It carries a patriotic Saving Private Ryan vibe that reminds us of our past and paints a beautiful picture of life 60 years ago. And Hanks digs into his talent truck and brings out a bit of Michael Sullivan from Road to Perdition, leaving the violent nature behind but keeping the unwavering bravery. If you like those films and those stories, you will have many things to enjoy here as well, including fascinating Americana and a time capsule element that’s too interesting to turn away from. This was the reality of our world, a time of duck-and-cover, of espionage, of Cold War fear, and of Berlin as a shattered ruin where death lurked constantly. Add some stunning scenes & historic locales and you’ve got a movie ready to make waves. However, I can’t rave about this film, as much as I’d like to. Spielberg’s direction was as solid as ever, Hanks was the undeniable lead without much else to support him, and the character of Rudolph Abel was sculpted very nicely. The first hour of the film was excellent, with quiet intensity and deliberate drama, showcasing talent on all fronts. But about halfway through, when the action moves to Germany, some steam was lost. The film began to rely upon jokes it already made, lines it already used, and meetings we’d already seen. The story became a bit repetitive, and needed paring down ever so gently, a small effort that could have made a big difference. I’m glad they took their time at the beginning because that was the best and most dramatic part, but by the end I wanted a little more speed, especially since we could see the climax coming a mile away. 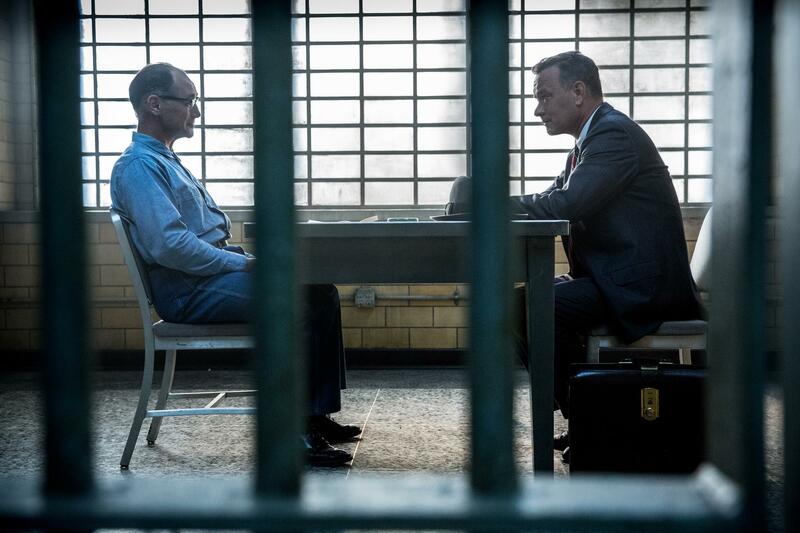 I enjoyed Bridge of Spies, and I’d bet that you will too. It’s bound to be a crowd favorite, but I’d stop short of calling it brilliant.